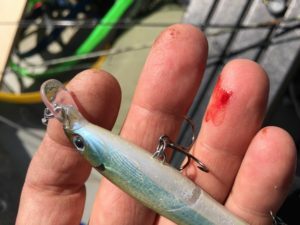 I’ve used this method multiple times to remove hooks in past the barb. A few times the hook was pulled from me, a couple times by me, and once, last week, both. It’s worked equally well with hooks ranging from trout flys to musky lures. I am not advising anyone to forego medical treatment, but my experience says this system works. 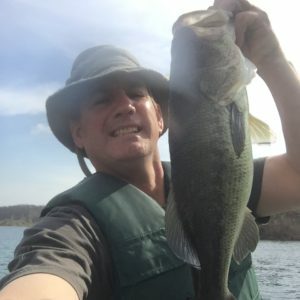 That said, if I catch a hook in the eyelid; I’m finding a doctor. 1. 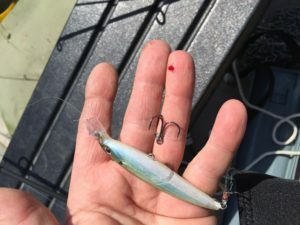 Separate the hook from the fish and then the hook from the lure. 2. 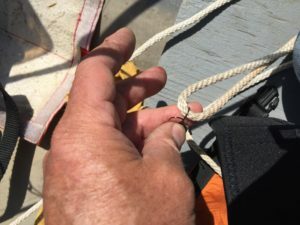 Loop a piece of strong cordage through the bend of the hook. A piece of lightweight rope, a strong shoelace, or even a heavy duty bite leader could work. 3. 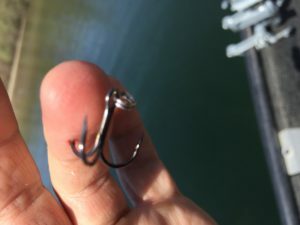 Press down the eye of the hook firmly against your skin, while keeping the hook lined up in its original path. Pressing the eye of the hook is very important. 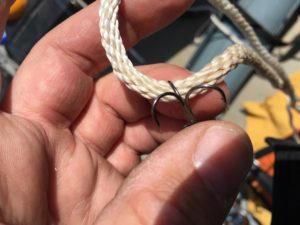 This puts the force of the pull on the outside of the hook bend, away from the barb. 4. Now, pull the hook out with a hard straight “yank’ following the reverse path that put the hook in. It will hurt less than you’d think. 5. Find the hook. Sometimes it stays on the cord; usually it will fly off. 5. 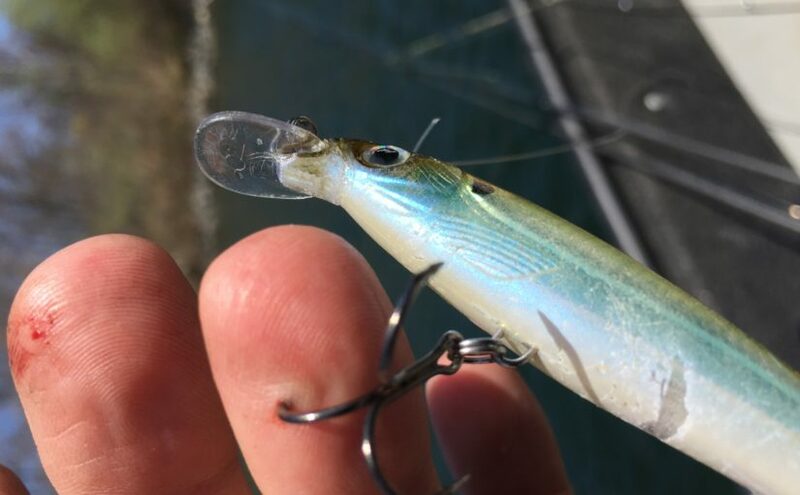 Put the hook back on your lure.